MAC recently released their Heavenly Creatures collection and on paper for me personally it was the most perfect collection and there was so so much i was lusting after and wanted to purchase! I have a major thing for their mineralize skinfinishes and their mineralize blushes so to me this collection was heavenly (see what i did there?!) However i was extremely restrained and only bought two lipsticks! There was a time when i would have gone absolutely crazy for this collection and bought a few of everything! 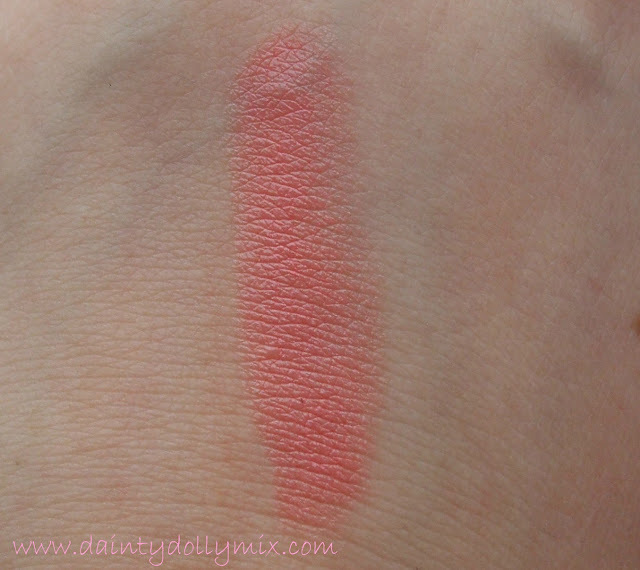 One of which was the one i am going to show you today that is actually a re-release and a lipstick that i have owned in the past but sold in a blog sale, the lipstick in question is Cut A Caper. Cut A Caper is described by MAC as a 'mid-tone peachypink' although i would personally describe it as a pink based coral. It really does look a truly amazing colour in the tube but as it is a lustre finish it is quite sheer and does take some building up for a really intense colour which i think is a bit of a shame. As you can probably tell from the pictures, I did find it a tad drying and it tended to cling to the dryness and creases in my lips. It really is a lovely shade and one i am again happy to own in my collection, I was never really too sure as to why i got rid of it in the first place! The price of MAC products have recently gone up too and they are now £14. 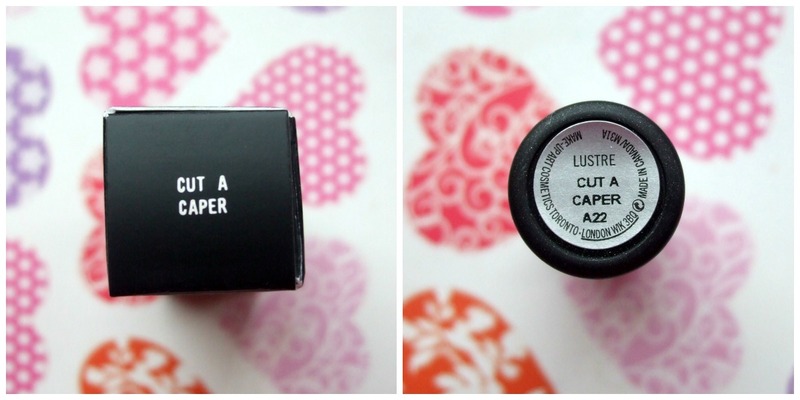 You can grab MAC Cut A Caper from the MAC Cosmetics website here. I am pretty shocked that it hasn't sold out already! Did you pick anything up from the MAC Heavenly Creatures collection? I want this!!! I remember it was sold out when I tried getting it last time. really tempted by this. meant to be on a no spending ban though! I bought this as well! I tried it on in store and absolutely LOVED it! I'm an NC35 and it looks so fresh and pretty against my skintone! I also got Cusp of Dawn which I'm wearing with Spice lipstick today. SO good! I hadn't realised that they re-released this shade. I really don't need any more lipsticks but I am very tempted!